Beautiful 1467 sq. 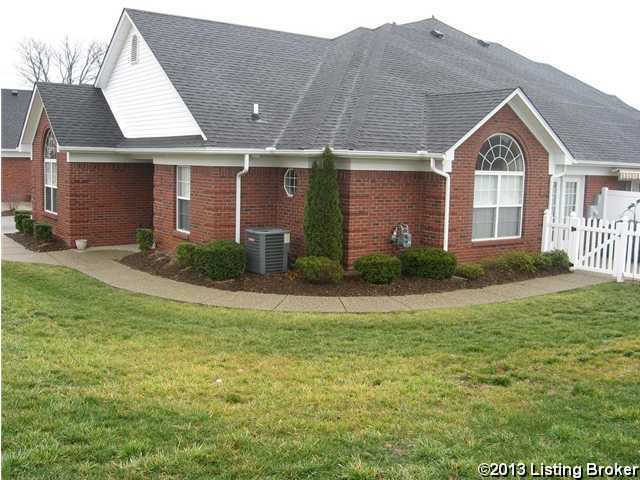 ft. brick patio home features a large great room that opens to the inviting kitchen with an island. Ceramic tile in the foyer, kitchen and dining room. Both the Master and 2nd bedroom have vaulted ceilings and palladium windows. The master bath offers his and her vanities, shower and huge walkin closet. Enjoy your patio just off the dining room. 2 car attached garage that has pull down stairs to attic with massive storage area. This community of Autumn Glen has club house, lake and swimming pool for your enjoyment. Autumn Glen is a subdivision within the city of Mt Washington, Kentucky. There are currently 5 Homes for Sale within Autumn Glen, with asking prices ranging from $260,000 to $336,990. The average list price per square foot of the available inventory in Autumn Glen is $141, which is below the Mt Washington average of $219. The Average Sales price of all sold real estate in this subdivision for the past year is $256,743. Recent comparable homes have been selling for 99.27% of their asking price. Waterfront homes represent 60.00% of the available Autumn Glen inventory. The total number of households in the zip code of Autumn Glen is 7,255, with an average household size for of 2.66 people. The total number of renter households within the zip code of 40047 is 1,268, which means that 82.52% of households in this zipcode are owner occupant households. 120 Falling Leaf Dr, Mt Washington KY 40047 is a Home, with 2 bedrooms which is recently sold, it has 1,467 sqft, 0 sized lot, and 2 Car Garage,Attached,Driveway parking. A comparable Other, has bedrooms and 0 baths, it was built in and is located at and for sale by its owner at $ 0. This home is located in the city of , in zip code , this County Other, it is in the Subdivision, and STONE MEADOWS are nearby neighborhoods.